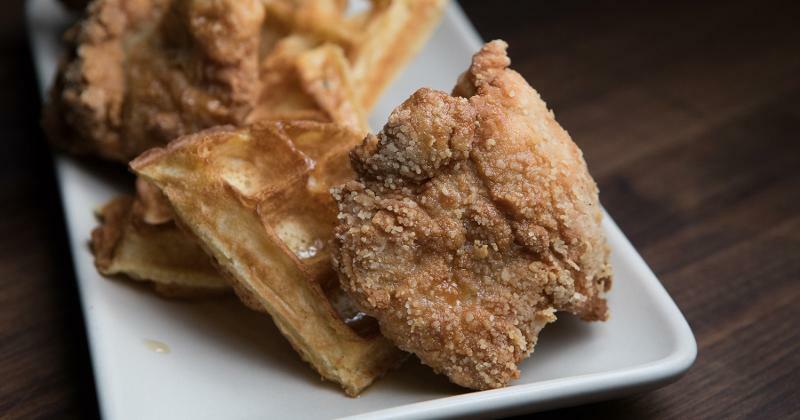 Chefs are taking waffles way beyond breakfast, serving up sweet and savory versions for lunch, dinner, snacks and more. 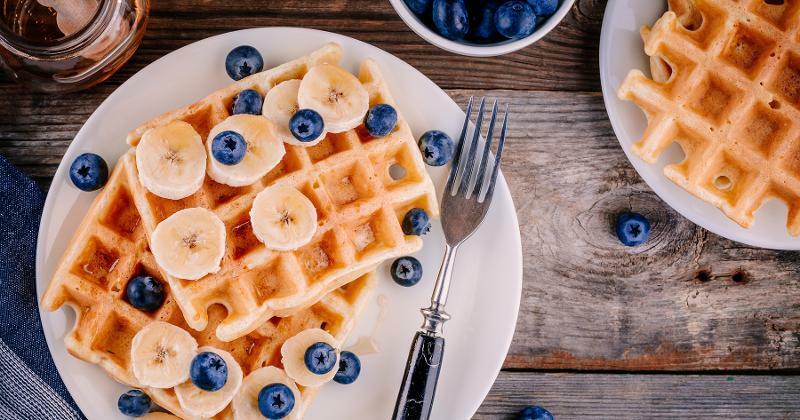 Check out five innovative waffle recipes here. 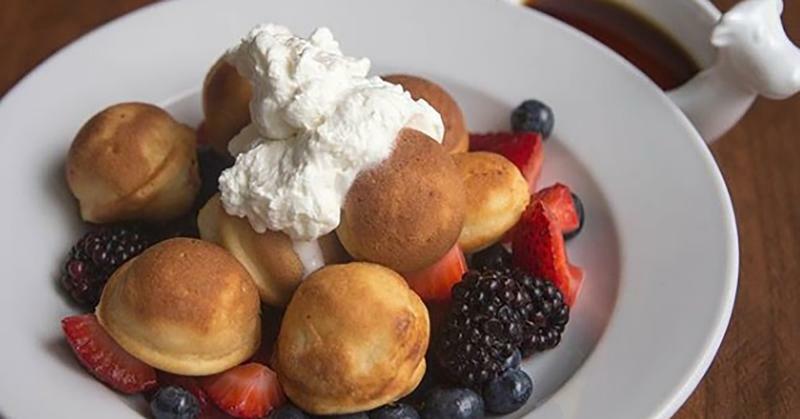 Customers in the mood for two brunch icons in one dish can find the combo in this recipe. 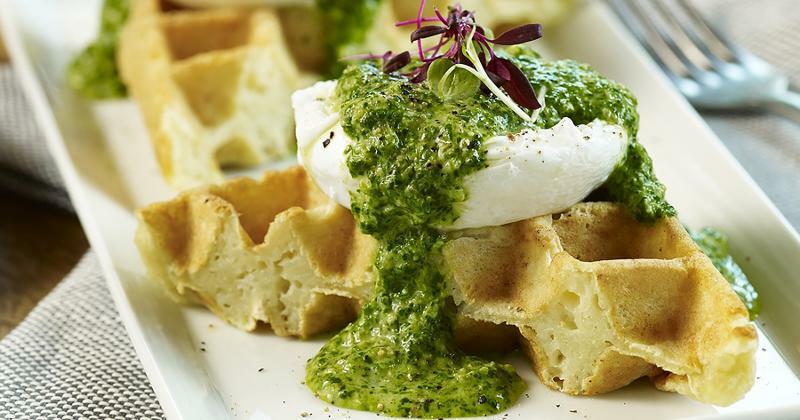 Chef Ellis serves eggs Benedict over waffles, rounding out the dish with a creamed spinach and caramelized onion sauce. 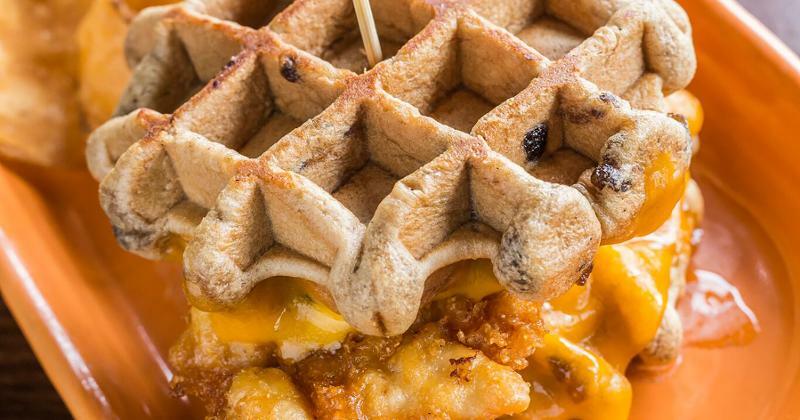 To give the dish a unique spin, he makes the waffle batter with potatoes and onions. 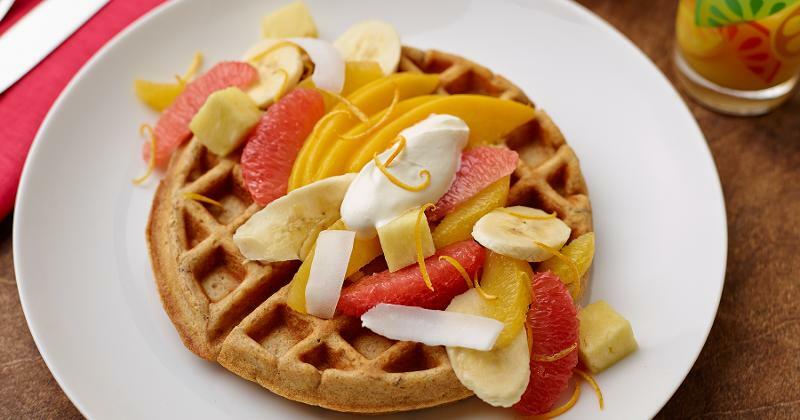 Kitchen staff at The Egg, the student dining venue at the Culinary Institute of America, makes these waffles with whole grains for a healthy boost and hearty flavor. The batter uses both spent grains left over from beer production at the CIA’s on-campus brewery and whole-grain flour. At this 13-unit grilled cheese concept, chef Fish creates unique twists on the comfort-food favorite. Here, he sandwiches fried chicken between maple-flavored waffles with Sriracha butter and cheddar cheese. Vegetarian customers can opt for fried tofu in place of chicken.